THe woods were dark and deep and the snow pristine on this morning walk through the forest along the Byers Peak Trail. A winter wonderland awaited me at every turn; the quiet and solitude were my only companions. While the temperatures struggled to climb out of single digits, I kept warm moving along the trail, and every detail seemed ready to be noticed. 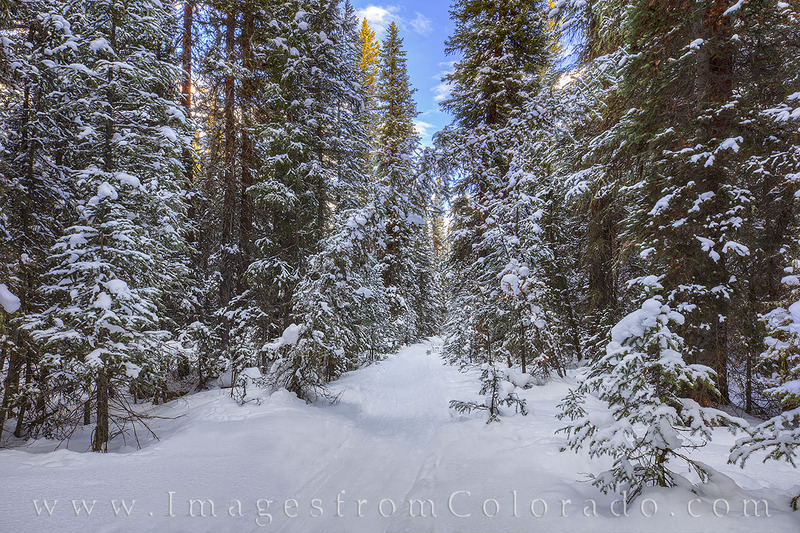 This photograph was taken on a December morning on a winter trail near the town of Fraser - just down the road from Winter Park. Photo © copyright by Rob Greebon.